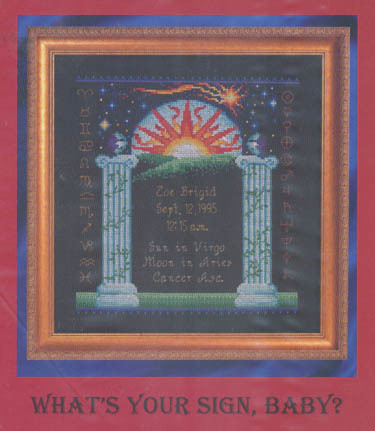 Unique design creates a frame/border with zodiac symbols and celestial images. Room for you to add your own name, birth date/time, Sign and other info. Stitch count 120w x 124. Model stitched on 14ct Black Aida.